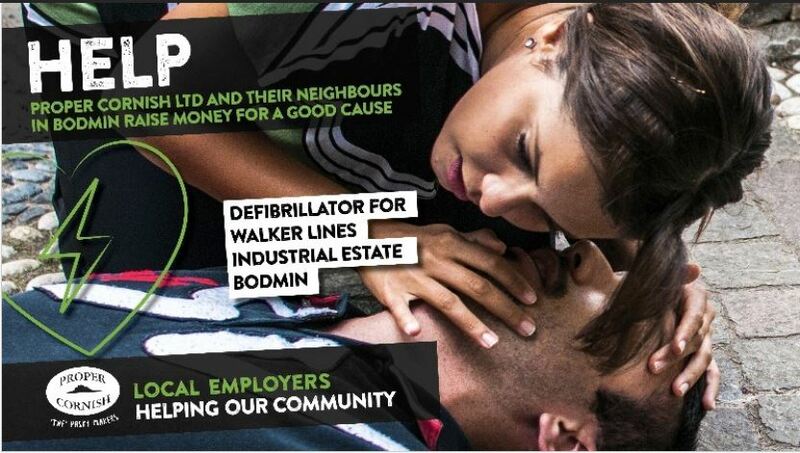 Working with other local neighbouring businesses, we are raising funds for a defibrillator for the Walker Lines Industrial Estate, Bodmin that can be used by the community should the need arise. The defibrillator will be located on our premises as a central location for the Walker Lines Industrial Estate accessible to everyone who is working on or visiting the industrial estate. We are purchasing the defibrillator from FLEET (Front Line Emergency Equipment Trust) a charity who’s most recent project is supplying Public Access Defibrillators, getting the equipment where it’s needed to save lives – fast. As a neighbouring community we have already raised just over £1650 and need to raise another £850 to meet our target. Please help us achieve our goal by making a pledge on our justgiving page. All donations, large or small, will be greatly appreciated.